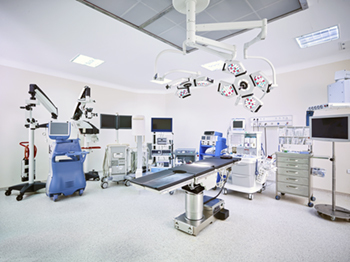 How Can a Wilkes-Barre Medical Malpractice Lawyer Help Your Family? When a doctor makes a mistake in diagnosis or treatment, it raises a number of concerns. First and foremost the concern is for the well-being of the patient and the impact of the error on his or her condition. Eventually, the incident may raise different questions when the patient asks whether the doctor’s mistake amounts to medical malpractice. The answer is much more difficult than you might expect, as a viable medical malpractice case is complex and difficult to win. Putting your trust in a skilled and experienced law firm, such as O’Donnell Law Offices, is the first step in filing a medical malpractice claim, and will help you determine the best course of action. There are four key factors that must be proven to win such a case: a duty of care was owed; the care was violated; the patient received a serious injury; and the injury was caused by lack of that care. The burden of proving these four elements lies solely with the party filing the claim. Additionally, testimony from physicians and witnesses is needed to further develop the claim. Without this information, your case cannot be properly presented and full compensation may not be obtained. While physical or emotional proof of injury can be easily detected, proving it was caused by negligence is often complicated and requires full understanding of the medical issues involved and the law. If you believe you have a medical malpractice claim, it is important to consult with an attorney. Due to strict timelines, required medical assessments and uncooperative insurance companies, these claims can become very costly. At O’Donnell Law Offices we will discuss the strengths of your case and advise you moving forward. Please schedule a free initial consultation with O’Donnell Law Offices. There is no fee or costs until we win your case.